It’s inevitable; something is going to be ready before the entire meal is done, whether you are cooking indoors or on your outdoor grill island. And everyone knows that hamburgers and hotdogs taste better on warm buns. That’s why it makes so much sense to add this Fire Magic Electric Warming Drawer to your grilling system. 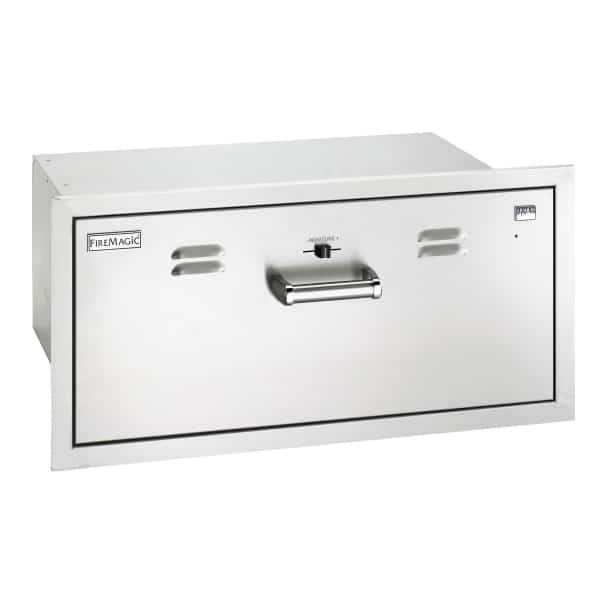 Like all Fire Magic accessories, the Electric Warming Drawer is crafted of premium stainless steel. It has double wall construction, moisture regulation, concealed controls and heats to 230F.